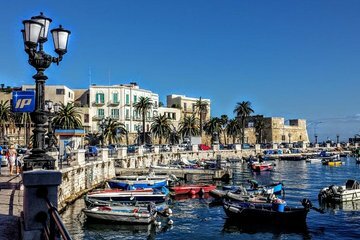 Taste typical street food during this private walking tour of Bari. Go off the beaten bath and explore the old city center, including medieval side streets. The itinerary also features top landmarks such as Basilica San Nicola and Piazza del Ferrarese. Your local guide leads the way to taste traditional street snacks including focaccia barese and panzerotto.